Toyota Motor Corporation (TMC) today announced it has sold 4 million units worldwide hybrid cars until 30 April. Hybrid cars first launched by TMC in Japan in August 1997, the "Coaster Hybrid EV". 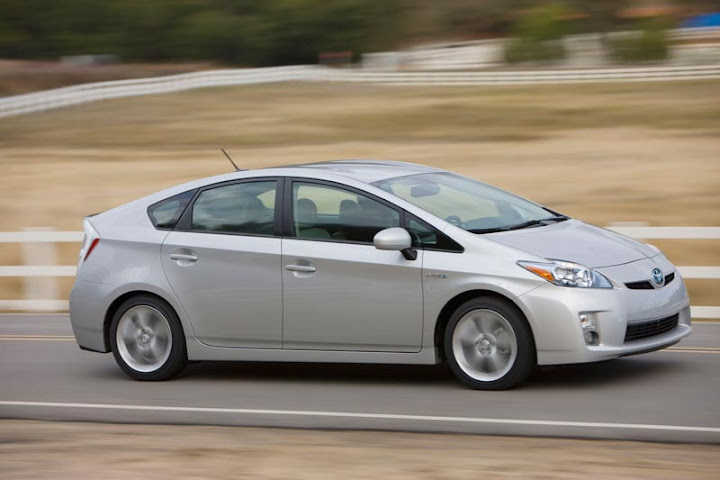 In December the same year, introduced the Prius hybrid passenger cars are mass produced. Toyota began selling the Prius outside of Japan, namely in the United States and Europe in 2000. In 2003, Toyota introduced the Prius generation-2 and TMC continues to add hybrid models, such as minivan, SUV, sedan and hatchback rear-wheel compact. The third-generation Prius was launched in May 2009, claimed to gain success worldwide sales. As evidence, at the end of February 2011, total hybrid cars are sold worldwide has reached 3 million units. Last year, Toyota introduced the Prius α (alpha) MPV and Aqua. As a result, until recently marketed hybrid car Toyota has reached 18 models and is marketed in 80 countries. With this addition, all Toyota cars sold worldwide, 15 percent comes from the hybrid (including Lexus). Currently, Toyota is preparing a compact hybrid hatchback, the Yaris Hybrid will be launched first in Europe and the Lexus "ES300h" in the United States. With 4 million hybrid units, the emissions of carbon dioxide (CO2) that can be cut by Toyota reaching up to 26 million tons.